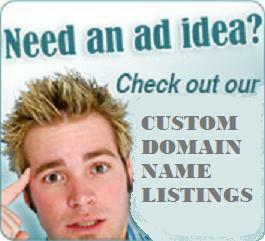 Are you looking for local advertising in New Jersey? The New Jersey Pennysaver provides local advertising in New Jersey and the very best target marketin services in New Jersey. Let our team of NJ Marketing Professionals get you the exposure you need. With inhouse SEO experts, New Jersey local advertising specialists, and a full web developement team, our expert New Jersey Marketing experts will deliver you the results that you need to stand out amongst the competition! Get ready for the premier New Jersey Pennysaver to take center stage! The New Jersey Pennysaver is now be redesigned and will join the Bergen County Pennysaver and the Somerset Pennysaver as the top local advertising resource for New Jersey. We have a full web department that will be offering beutiful web design and hosting services at a fraction of the cost of our competition. The New Jersey Pennysaver is looking to partner with the local communities we serve and we will not stop until you are happy! For those looking to join a great team please contact us today.